Learn all about Neuropraxia nerve injury its symptoms and treatments. Nerve injury includes total or partial transection of a nerve from stretching, cutting (laceration), compression, shearing, or crushing injuries. Because nerves usually are injured along with other structures, there are no good incidence figures for nerve injuries themselves. Neuropraxia is the mildest type of peripheral nerve injury. Neuropraxia occurs in the peripheral nervous system typically in the ulnar, median, brachial and radial plexus nerves of the upper body and in the sciatic and peroneal nerves of the lower body. A variety of nerve types can be subjected to neuropraxia and therefore symptoms of the injury range in degree and intensity. Common symptoms of neuropraxia are disturbances in sensation, weakness of muscle, vasomotor and sudomotor paralysis in the region of the affected nerve or nerves, and abnormal sensitivity of the nerve at the point of injury. 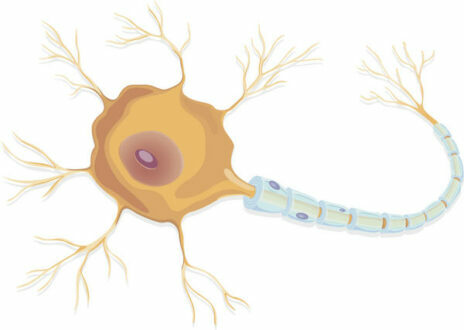 Neuropraxia is caused due to increased pressure in nerves which are vital for cardinal functions. Increased pressure in nerves can block the neurotransmission, hampering proper functionality of the nerves. Loss of blood supply can also cause neuropraxia. This is a mild type of damage that can be recovered very quickly within days or months. However, it is estimated that 95% of nerve injuries that occur with a fracture are located in the upper extremity (Sharon). Nerve injuries occur with 48% of shoulder dislocations, 18% of knee dislocations, and 13% of hip dislocations (Sharon). Neuropraxia is most commonly observed in athletes involved in collision sports, such as American football. Athletes participating in collision sports most often suffer from cervical cord neuropraxia, also known as transient neuropraxia. Athletes that suffer from severe episodes of neuropraxia are urged to consult orthopedic or spinal medical specialists. In mild cases of neuropraxia, the athlete is able to remove themselves from the field of play. The entire nerve is involved in the response to traumatic injuries. The outcome of nerve repair is dependent on the degree of the nerve injury and the circumstances at the site of injury. Since neuropraxia is the least serious form of peripheral nerve injury, recovery and treatment are not extensive. Once the cause of neuropraxia is eliminated, recovery of the lesions in the nerve occurs within a short time span. The recovery period of neuropraxia is not an entirely ordered process, but the recovery is always complete and fast. Neuropraxia nerve injury is characterized by loss of its normal function. This depends on the type of nerve injured motor or sensory. Motor nerve injury affect motor function (muscle movement) while sensory nerve injury results in impairment of the senses. The muscular function impairment may be in the form of weakness or paralysis. The sensory impairment can present as loss of sensations, abnormal sensations (parasthesias) or pain. In the majority of the cases, the injury to the nerve appears as a direct result of acute trauma. The peripheral nerves present the highest risk for injuries, especially in situations of blunt force or bone fractures. These are the nerves that are found in the extremities, more specifically outside the spinal cord and brain. They can also be easily injured when it comes to penetrating wounds, lacerations or stretch excessively (as a result of trauma as well). Neuropraxia is derived from the word apraxia, meaning “loss or impairment of the ability to execute complex coordinated movements without muscular or sensory impairment”. Neuropraxia is a disorder of the peripheral nervous system in which there is a temporary loss of motor and sensory function due to blockage of nerve conduction, usually lasting an average of six to eight weeks before full recovery. This is the least severe form of nerve injury, with complete recovery. In this case, the axon remains intact, but there is myelin damage causing an interruption in conduction of the impulse down the nerve fiber. Neuropraxia is often treated and cured by non-operative means. The primary goals of treatment are to maintain the proper nutrition of the paralyzed muscles, prevent contraction by the antagonists of the paralyzed muscles, and to consistently keep the joints mobile. Physical therapy is essential for the healthy recovery of different nerve injuries. The timing of treatment of open wound nerve injuries is critical. Primary nerve repair is usually completed within 7 days of the injury.